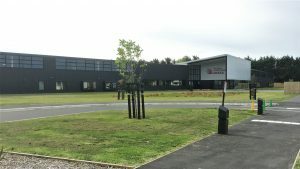 The Flovac Vacuum Pump Station was installed in 2015 to service the Prestons residential development in Marshlands Christchurch and has continued to grow with house sales in the area ahead of schedule. 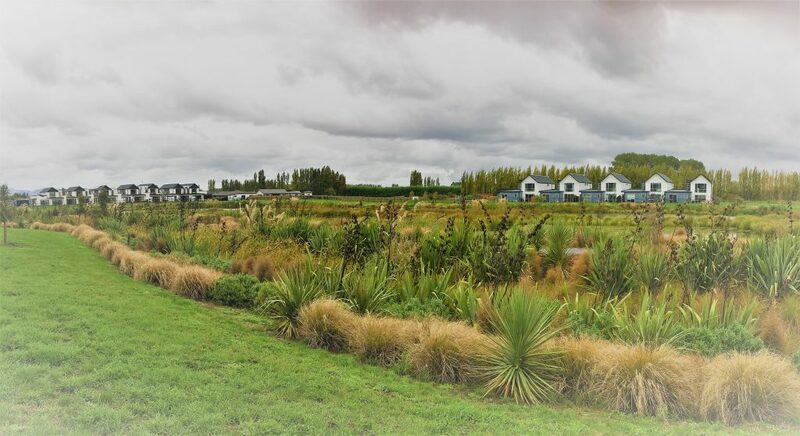 Every effort has been made by the developer Ngai Tahu to ensure that this medium priced housing development for 8,000 residents is world class. the system, especially close to the station the system needs to be tuned correctly or have an automatic air inlet system that can be programmed to take the change into account. The vacuum sewerage system is the ideal technology for a development like this as it can be very flexible with new additions over time and is resilient to damage from earthquakes. Unlike low pressure pump systems, the only power requirement is at the vacuum pump station, so if an earthquake interrupts power supply the vacuum sewerage network at Prestons will continue to work as there is a back up generator located at the station. Another resilient feature of the Flovac system is that if any of the vacuum mains break or rupture during an earthquake, the negative pressure in the pipe ensures that no sewage will leak out. A low pressure pump system operates on positive pressure, so if a pipeline breaks sewage will surcharge from the pipe into the surrounding area. In an environmentally sensitive area like Prestons, that could be a disaster. Another benefit of the vacuum sewer system is its ability to handle high flows into the collection system. A large supermarket complex is being planned in the neighborhood complete with a Foodstuffs supermarket, cafe’s and restaurants. 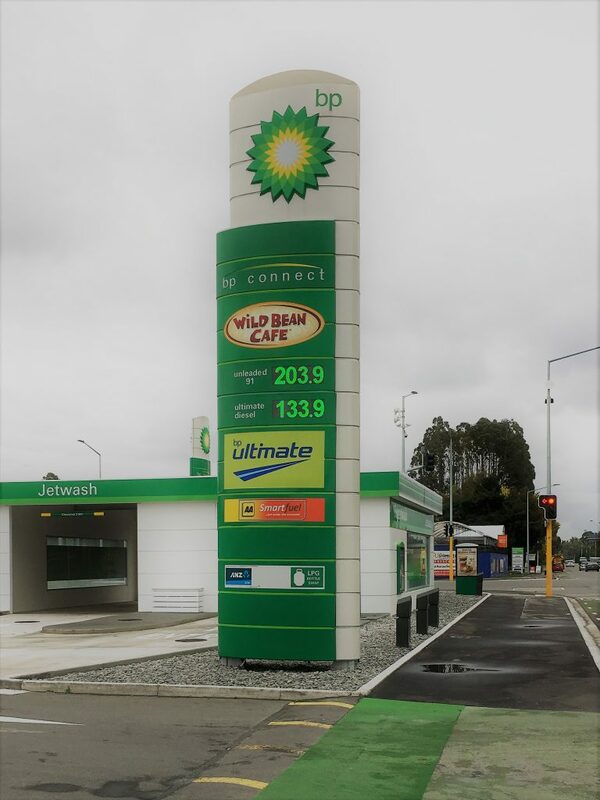 Already built is a large BP service station which houses a cafe and a Jetwash. The Flovac system handles the commercial premises and can handle any flows from the car washing facility. On the right side of the BP Jetwash you can see three of the Flovac pillars that house the air vents that are required to admit air into the vacuum sewer. These are connected to three separate valve pits which are served via a splitter to handle the high flows. The pillars will also house the wireless monitoring system that is being rolled out. The monitoring system will alert operators to any valve faults or potential overflows from the pit. The operators looking after the system have been very happy with the operational benefits and have had very few callouts. As the operators have little to no contact with sewage and have no requirements to enter the property of the residents they see real benefits relative to how the low pressure pumps have performed. Many low pressure pumps are located on the property of the resident and any maintenance often leaves residual sewage on the lawns of the residents.